This entry was posted on July 29, 2011 at 12:51 am and is filed under Gear Making, knifemaking, metalwork, Tool Making with tags file guide, knife making, took making. You can follow any responses to this entry through the RSS 2.0 feed. You can leave a response, or trackback from your own site. and you got to make the tool too… that makes it even better! Yeah Steve – do your ever get stuck in that thing where you spend more time in a day making tools or jigs than making stuff? I have been thinking about this for some time. I have one of Fred Rowe’s bubble jigs and this would work nicely in conjunction with it while grinding/sanding knives as well as file work. Great idea…thanks !!! Let me know how it works out for you. I would love to see a pic when you get it done. please could you give me the measurements of your file guide? 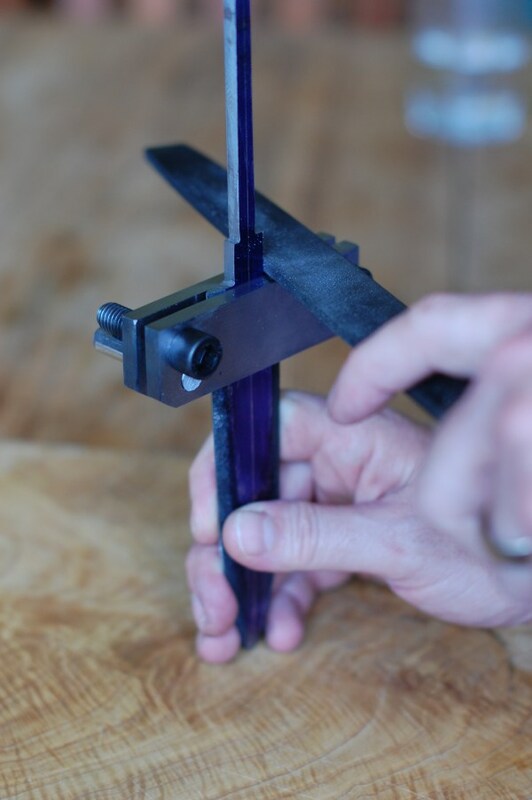 My jig is 3 1/2″ by 1 1/8″ and the sides are 1/4″ thick. It is only that size because that is the steel scrap that I had. I have plans to make one out of 3/8″ thick stock to get more of a flat platform to work off of. How did you make it flat and square? 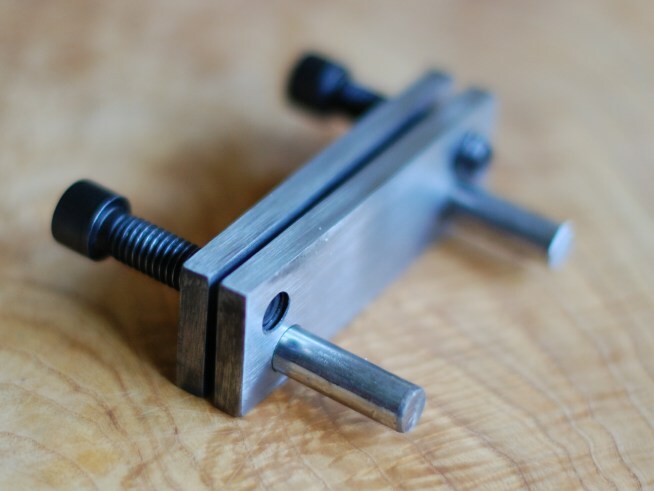 I used a machinist square, files, sandpaper, and a caliper.